Peru Expeditions Tours has been designing pioneering trekking adventures in the Andes since 1978. 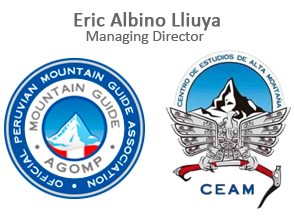 We scouted the Cordillera Blanca and Huayhuash since 1983 when Juventino Albino Caldua became certified IFMGA high mountain guide. We work with expert local guiding teams who have over 40 years' experience leading groups through the Salkantay trek, Choquequirao trek, Lares trek, Inka Culture Machu Picchu trek, Inka Trail to Machu Picchu, Cordillera Blanca & the Cordillera Huayhuash Range. Expeditions and Services: At Peru Expeditions, we stand alone in our commitment to deliver to you the best possible experience tailored to you alone. With our company, your options are limitless. We operate with worldwide parteners and incorperate many unusual experiences. Even before the expeditions commence, we will work with you to assure you are fully prepared and satisfied, and we will continue this assurance until after the trip commences. Throughout your entire experience with us, we will always be responding to your individual needs and desires. We continually focus on making your dream a reality that you cherish for the rest of your life. We are a detail oriented company so nothing is missed for your adventure! Guides and Staff: We work alongside professionals from all over. Always the most specialized for your trip, we have many international partners depending on language requirements and adventure requests. We also employ locals who know the secrets of the areas for a richer experience. We are certified to access regions and summits many guides are insufficiently trained and permitted to go. 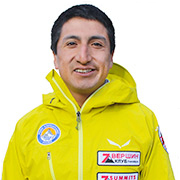 As well, all of our guides have extensive high-altitude experience. Our personnel are fun and friendly so your heart will always be joyful, even admist the challenge! Safety Guarantee: Our company is founded on a basis of honesty and integrity: We will always put our clients safety first and foremost. Our guides: are fully certified with up to date and the highest levels of training. All of our training agencies are internationally recognized (see Mountain Guides-Tour Leaders) As well, our guides are the most experienced available; familiar, and often pioneers, of the regions and mountains where we offer our expeditions. Personal Experience: With many partners from various nationalies, locational and language opportunities are vast with us. Every trip is custom just for you. Because we are well experienced and established, we have time to focus on our clients on an individual level. During your experience with us, we want you to feel as though you are expanding your boundaries physically, spiritually and psychologically. We want you to feel as though you have achieved maximal success with us. Company Credentials: The roots of our company began in the 1970’s. We are an internationally recognized comapny with partners in many countries all over the globe. Worldwide, we have an exceptional retputation and are reccommended by some of the worlds most prestigeous mountaineering companies and organizations. Our liscencing institutes assess and enforce quality in operations, permits, insurance, business practices, and individual ethics. We acknowledge the risks of mountaineering and never comprimise the quality of our services. We take pride in the consistent excellence of our services. Prices: Our prices reflect the true best value for your trip. They are always very competitive and based upon quality. We always do our best to fully disclose the entire cost of the trip and include all expenses in our prices so you are not suprised by any extra fees. We invest in the best equipment, guides, assistants, accomodation, transport and food at a cost to us. Ethics: We are not a giant company working from far away; we are primarily family and close companions that are deeply invested in our communities and locals. This means that we always pay our assistants and cooperators fairly. We believe in responsibly supporting the local economy and environment. We are interactive in supporting volunteer- Organizations in our villages: Programs such as “Be A Child Foundation” and language initiatives for local children. When we trek, we are conscious of our effects on the enviroment and strive to lessen our impact as much as possible. We respect the mountains and the serenity they offer to us. We are a small, inter-personal company of mountaineers with a primary objective to serve you best and with utmost safety. This is our gaurantee. We hope that our company views align with yours as an adventurist, and we hope you choose to make your wildest imaginations come true with us. Our aim is to offer friendly, professional and especially secure services to our clients for a good price. We offer full service for groups of any size, day tours, hire of mules and muleteers for people who travel independently and wish to go on a trek or a climbing expedition by themselves. Experienced and qualified climbing guides from (IVBV - UIAGM - IFMGA) - The IFMGA is an international association of mountain guide associations from all over the world.